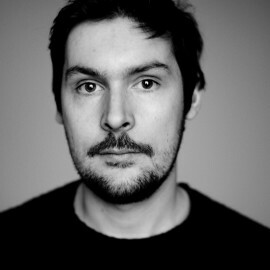 Dan Richards was born in Wales in 1982. 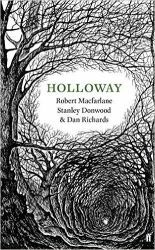 His first book, Holloway — co-authored with Robert Macfarlane & illustrated by Stanley Donwood — was published by Faber in 2013 and become a Sunday Times bestseller. 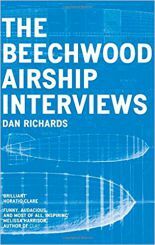 Dan’s second book, The Beechwood Airship Interviews (HarperCollins, 2015), took a journey into the creative process, head-spaces and workplaces of some of Britain’s celebrated artists, craftsman and technicians including Bill Drummond, Judi Dench, Jenny Saville, Manic Street Preachers and Stewart Lee. 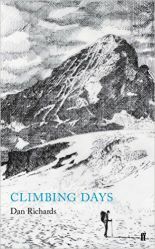 Climbing Days (Faber, 2016), an exploration of the writing and climbing lives of Dan’s great-great-aunt and uncle — Dorothy Pilley & I.A. Richards, was highly commended at the 2017 Stanfords Travel Awards. Dan’s most recent book, Outpost is about far flung shelters and eyries, isolation and wilderness, published by Canongate in 2019. Dan has written about travel, literature, art and music for publications including The Guardian, National Geographic, Monocle Magazine, Lodestars Anthology, The Quietus and Caught by the River. In July 2018, he will be talking about mountains and mountaineering at the BBC Proms.